Such an easy thing to do, but with the effect that you can transform the entire room. At JMF Doors, we’ve a huge selection of styles from classic to modern, so there’s something to suit every home. And once you’ve decided on the style, it’s just a case of measuring up and putting in your order. There’s a really helpful FAQ section on our website to help you or just call if you need more assistance. 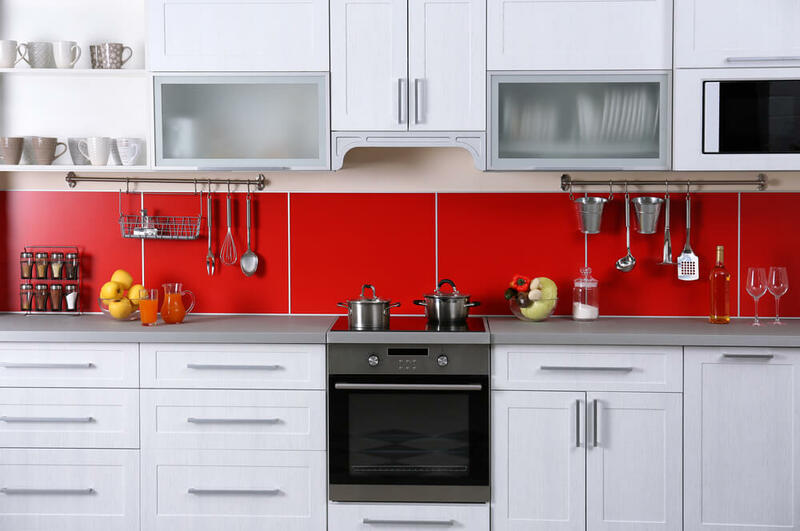 You’ll enjoy your upgraded kitchen for years to come, and when it’s time to move on, you’ll be confident that a planned, uniform and timeless kitchen will have maximum appeal. A window that’s offset properly, makes such a difference. And it doesn’t have to cost a fortune. The simplest way is to select a pretty, fresh looking roller blind that matches or complements your kitchen wall. Or if you don’t want a blind, consider just a pelmet to ‘frame’ the top of the window and make it a feature, rather than a blank hole in the wall – you’d be amazed at what a difference it can make. Don’t invest in heavy fabrics or anything that’s not washable or wipeable if the window is anywhere near the sink area. Splashes and stains are bound to occur, and there’s nothing worse than a piece of dirty fabric hanging up for all to see! Colour is a personal choice, but make sure it sits well with everything around it. Also, think practically about the type of paint (silk bathroom/kitchen paint is always a sensible option). But whatever you choose, make sure it lightens not darkens the kitchen, allowing light to reflect off it. If your kitchen is small, then a great trick is to replace a mirror on the wall opposite the main window, to give the illusion of space. Or why not use reflective tiling if at all possible? There are lots of other ways to update the look of your kitchen – take a look at this helpful blog from Ideal Home for more.